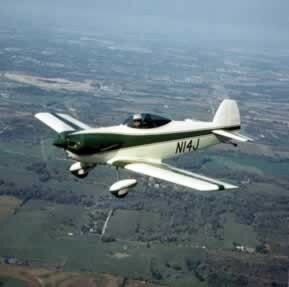 This aircraft first flew in 1967 and was the result of requests for an aircraft with higher performance than the Mono, hence it's power range is from 60 to 105hp. It's construction is similar yet it actually comprises of fewer metal fittings than the Mono and full size wing rib plans are supplied for the tapered wing panels. 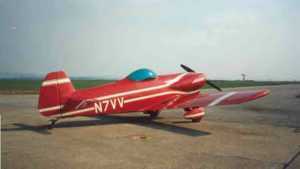 With a cruise speed in the region of 160mph, this aircraft can be used as an effective tourer and is also fully aerobatic, again having being proof loaded statically. The total building costs are slightly higher solely due to the difference in engine but this is an aircraft with a very good overall performance whilst still being safe for amateur pilot. Over 35 examples have flown successfully to date.